Today was the last day to register to vote in many states. I know this because my Facebook feed is full of women telling me how to vote. And how to not be a gender traitor. I don’t care how you vote. And many of you don’t care how I vote. 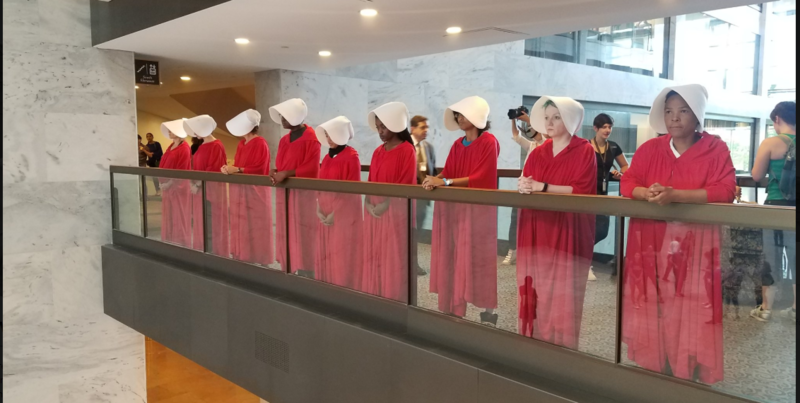 But before I get demonized and belittled for being a conservative woman, let me explain how I arrived at being a conservative, despite the constant bullying pleas from the Democrats. I believe that you know how to spend your money better than the government does. I believe that crippling regulations stifle innovation and lead to complacency. I believe in American exceptionalism, and hope that Americans will reclaim their integrity, intelligence, and grit. I believe a person is a person, no matter how small. I believe in personal responsibility. Yes, that includes not getting black-out drunk and expecting the rest of humanity to take care of you. It also includes dressing respectably. I believe in freedom. Freedom from the tyranny that dictates the social superiority complex. I believe in equality. Do not diminish me to my gender and call me a traitor for logically disagreeing with liberal women. The Affordable Care Act is not affordable. It reduces choice and competition, which leads to unaffordable care and premiums. We need to do better by women who are struggling with an unplanned pregnancy. Abortion is not the only option, and to disguise the killing of a child as “women’s health” is not only deceptive, it is morally corrupt. I believe in my ability to compete sans affirmative action. The perpetuation of female victimhood is exhausting and insulting. The roads should be the first thing to be funded. Collectively, this country spends billions on Medicaid but can’t fill our potholes. Money does not grow on trees. I believe in private property and the right to defend your property by any means accessible to you. Gun control is a farce as debunked by the cities with the strictest gun control laws and highest murder rates. I don’t play the game of identity politics. Neighbors will solve cruel behavior, not politicians. I don’t believe the government should parent our children, manage my finances, or control education. I’m a conservative because I have thought about it. I’m a conservative because I refuse to be a pawn. I’m a conservative because I believe the future is brighter when we trust our citizens to lead independent lives. Vote how you want. Stop complaining about the way I vote. The bravery of a homeowner put an end to the three-day long manhunt, Fitzhugh said. The inmates had run through the woods to a home on Pruitt Road, near the rural community of Christiana. “The homeowner was alerted somehow, he looked outside and saw the suspects trying to steal his vehicle,” Lt. Bill Miller from the Tennessee Highway Patrol said late Friday. Ricky Dubose and Donnie Rowe after their capture. Seems rather desperate when one is forced to use the same regurgitated, unpopular, and failed arguments one has used in years gone by. I do recall the same reactionary types calling Florida the “Gunshine State” because its citizens had the gall to support giving themselves more control over their own security. This repeated itself time and time again, as it will continue to and should. You can’t defeat a distributed threat by centralizing the response… most people sense this intuitively, hence the resistance to centralize. This type of technology will revolutionalize the way the world works, and what money is. The more competition, the better, the more secure your funds will be. The market (now able to react at the speed of light) will find the value as long as no one owns a monopoly on what people want to use. Coming After Your (replica) Guns? Of the 86 fatal shootings involving imitation firearms since 2015, the most common theme was mental illness: 38 of those killed had a history of it, according to their families and police reports. Fourteen of the calls were domestic disturbances. Ten others began as robberies. The remaining circumstances range from patrolling neighborhoods to serving arrest warrants to making traffic stops. Are more laws needed to make a fake gun look fake to protect the person wielding it inappropriately? Is the problem fake guns that look too real (whatever that means), or could other factors be at play? Since people under a life or death situation (such as those described in the article) naturally achieve a sympathetic nervous system or (SNS) response which includes the loss of color vision; what modifications will be demanded when simply coloring guns differently doesn’t fix the problem? It seems to me that the real problem is that some people choose to intimidate, coerce, or otherwise threaten other innocent people, and then other people react with appropriate levels of counterviolence when faced with someone acting in a manner that suggests that they or others are in immediate jeopardy of loss of life and limb. 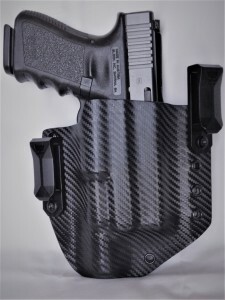 JDM Holsters is a custom manufacturer based in the Quad Cities providing custom Kydex solutions for whatever your needs may be – whether a gun or a knife, Joe has you covered. I was first introduced to Joe by my good friend Erik Mattley of Davenport Guns when we were looking for holsters designed to work with the Viridian XTL series tactical light for our Handgun Provisioning Package. The package provides shooters with a Glock 19, spare magazines, Viridian XTL, holster, Blackhawk magazine pouch, 50 rounds of ammunition, a membership into the Defense Academy, and most importantly – the training to tie it all together via our Handgun Basics course – all for well under $1,000.00. While we are fans of the Viridian XTL because of its technology that allows the shooter to select either a constant on or strobe function and can activate itself on the draw if the shooter chooses to do so, we were not pleased with the narrow selection of holsters available for this developing technology. While there can be no doubt that other light manufacturers will need to adapt this instant on technology (Viridian calls it ECR: Enhanced Combat Readiness/Instant On) or lose market share, right now there just aren’t that many manufacturers who are building holsters for this nascent technology. I had called several manufacturers who simply couldn’t accommodate our needs, and had just about given up hope. Joe was kind enough to come into the shop and discuss our needs, show us samples of his work, and focus his considerable talents on coming up with a solution for us. Long story short – I was so impressed with Joe, his holsters, and his dedication to his product that I asked him to build one for me (photo at the top), and I have been wearing it now for almost 6-months. What do I think of Joe’s work now that I own one of his creations? I love my JDM holster. It’s rock solid, works they way it should, is a good looking holster, and it’s finished with obvious attention to details. Joe’s craftsmanship is evident in his product, and his commitment to his customers is as commendable as it is rare. If you’re reading this Joe – you have my respect brother, you build a quality holster and I am glad that I know you. With more colors, designs, and variations than you can shake a stick at, Joe’s holsters are worth every penny (and then some), the QCA is lucky to have him, and I wish him the best of success in his business. If you are looking for a custom solution for your needs, reach out to Joe on his Facebook page, or give him a call at 563.370.1274. You won’t regret it. 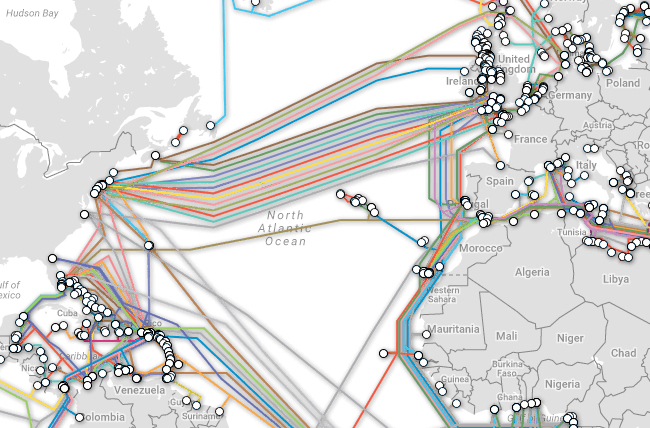 In a nutshell: The internet is highly centralized and vulnerable to attacks. The solution to this problem is a distributed network that that becomes more secure and faster as more people partake. Technologies like MaidSafe are leading the way, and are now in alpha testing. It’s nice to be proven right, and glad the reality is beginning to sink in. The debate about whether or not video games improve your cognitive abilities is over. It turns out they can make you quicker and more decisive. And as a result, the military has begun testing and using virtual reality programs to train soldiers. 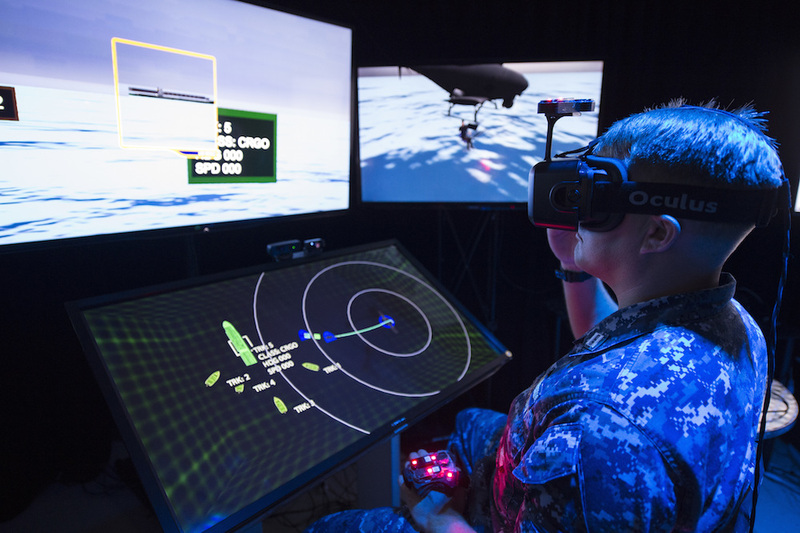 And while you may think that video games or simulations don’t compare to actual field training, experts within the military community suggest that you’d be wrong. We love technology and where it can take us. MIT researchers with DARPA funding have developed a portable device for manufacturing a range of biopharmaceuticals on demand, virtually anywhere… For medics on the battlefield and doctors in remote or developing parts of the world, getting rapid access to the drugs needed to treat patients can be challenging. That’s because biopharmaceutical drugs, which are used in a wide range of therapies including vaccines and treatments for diabetes and cancer, are currently produced in large, centralized fermentation plants. Then they must be transported to the treatment site, which can be expensive, time-consuming, and difficult to execute in areas with poor supply chains. 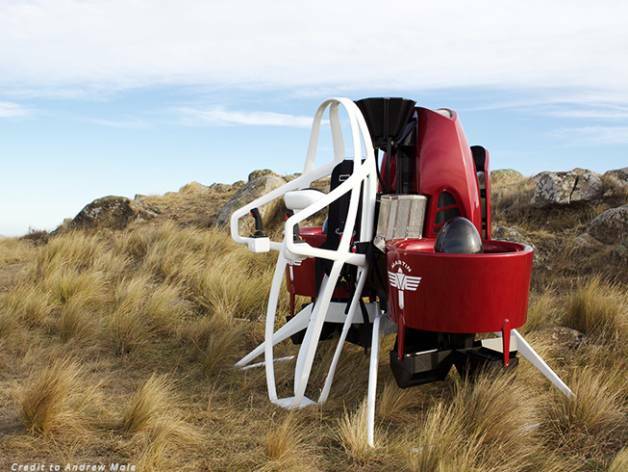 Whether you’re an adventurer, a futurist or a visionary, the Personal Jetpack gives you the freedom to explore and venture to places that others can only imagine. Its small dimensions allow it to operate in confined as well as open spaces, making it the ideal vehicle to cross the harbour for lunch on a superyacht or carry out that daring midtown rescue before cocktails at the club. Before flying the Jetpack, proper training and certifications are required. Pricing starts at $200,000, with availability to purchase in a variety of colors beginning December 2017. For details on flight training and certification, as well as specs and pricing and how to pre-orders, please visit www.martinjetpack.com. 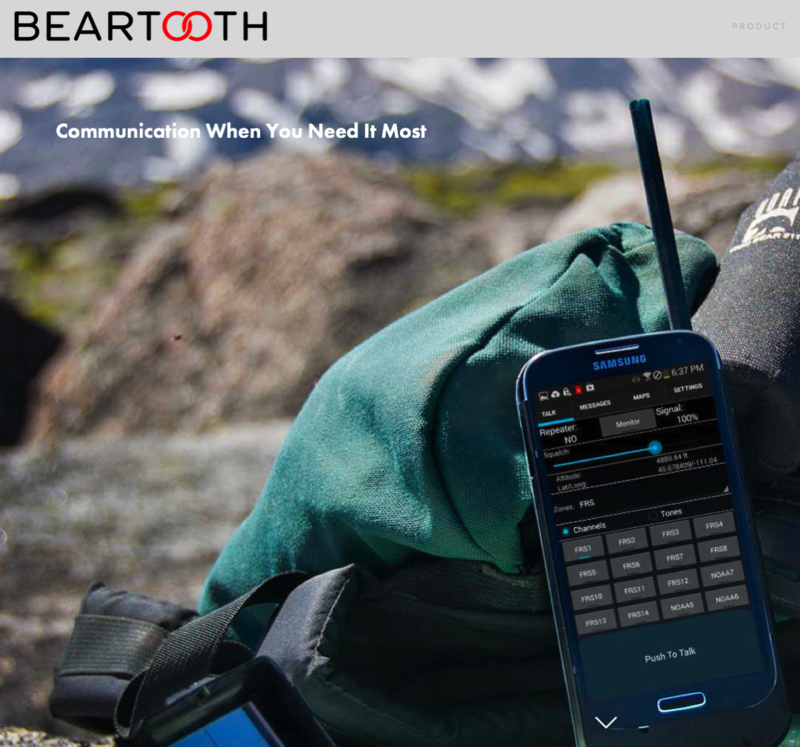 The Peacekeeper app is one of my top picks for a decentralized security network – it’s on the “short list” of selected apps and technologies every rugged individualist should’t be without. Those of you who don’t know what Peacekeeper is, you owe it to your selves to learn about it. In other words, “When seconds count, police are just minutes away” the developers continue. Their skepticism is well founded. The courts have consistently held that not only are police not responsible for your safety, neither are they required to intervene in your behalf. In other words, when push comes to shove, you are on your own and you better be able to protect whats yours – or be prepared to lose it. Look into them and support them, and put the odds in your favor – you need this app.